Muizenberg is a sea-side suburb of Cape Town in False Bay. The “Town” was either named after the Moetjesons (a Khoi group living in the area in the late 18th century) or Willem Muijs, who was in charge of the Dutch East India Company winter anchorage and cattle post in 1782 when the name first appeared on the map. Over time Muizenberg gained popularity as a sea side resort, the Southern Train Line increased the number of visitors to the resort and a number of palatial homes were built. 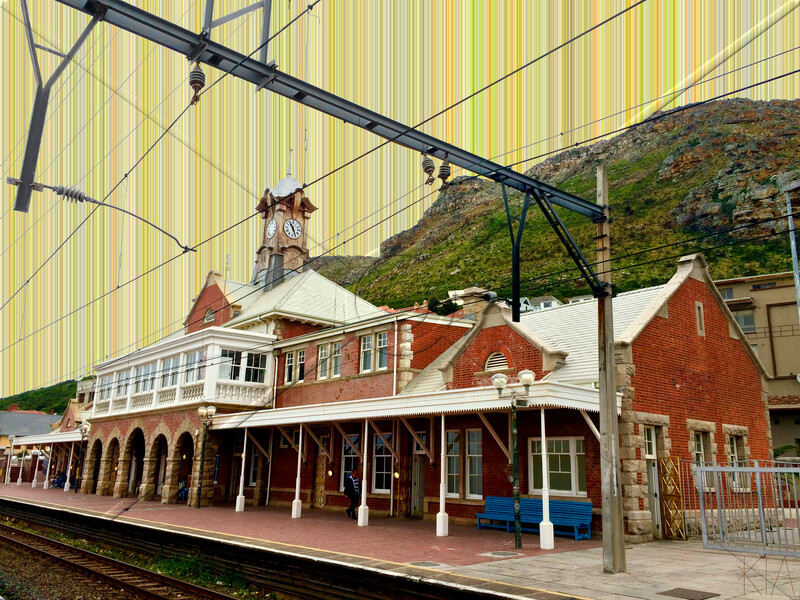 Due to the increased traffic the South African Railways decided to build a new Station in 1911 that would embody the importance of Muizenberg. Architect J.C. Tully designed the Edwardian structure which took near on two years to build. It was opened on 7 June 1913 by the Minister of Railways and Harbours, the Honourable Henry Burton. The station was declared a National Monument under old NMC legislation in 1982. John Collingwood Tully was born in 1855 in Newcastle-on-Tyne, England. He articled as a Premium pupil to Robert J Johnson of Austin Johnson & Hicks, a well-known practitioner of the Gothic Revival style in Newcastle-on-Tyne for five years. Tully moved to South Africa in 1889 and worked as a clerk of works in Johannesburg and Bloemfontein before moving to Cape Town to work on Groote Schuur by Herbert Baker on the first reconstruction for CJ Rhodes (1894-1897). He was married in 1896 and entered into partnership with Spencer Waters in Cape Town in 1897. In 1910 he moved to Pietermaritzburg where is lived until he passed away in 1929, although his death certificate is not available. I recommend a trip to Muizenberg, We will be going back next weekend to walk from Muizenberg to Kalk bay. During the summer this area is a buzz with tourists and the main road is always jammed with traffic.